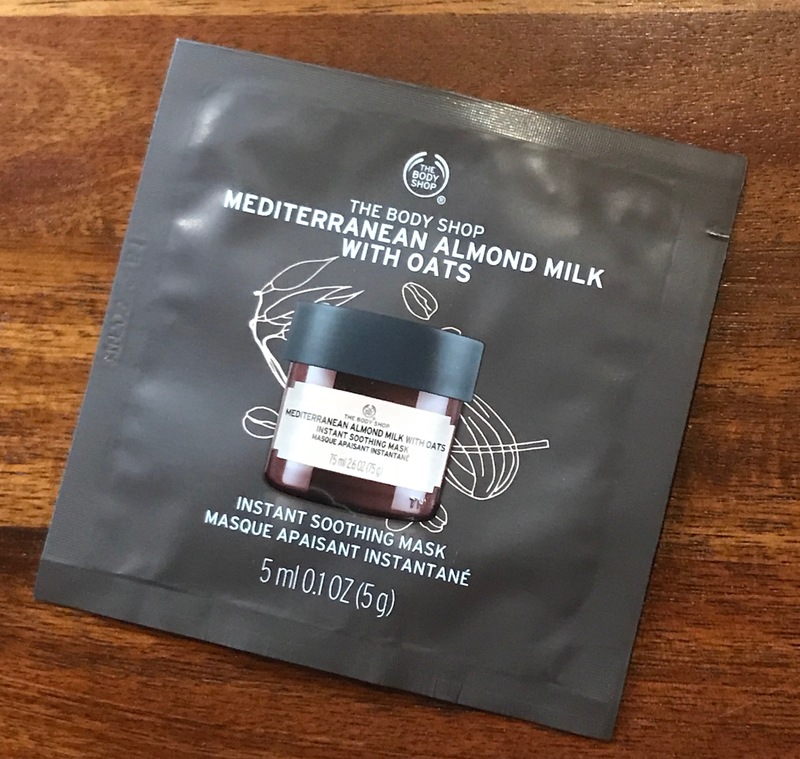 A quick post to let you know that you still can claim a FREE Body Shop Mediterranean Almond Milk with Oats Instant Smoothing 5ml Mask to try through signing up on the The Body Shop page via the following link, still available at time of posting. 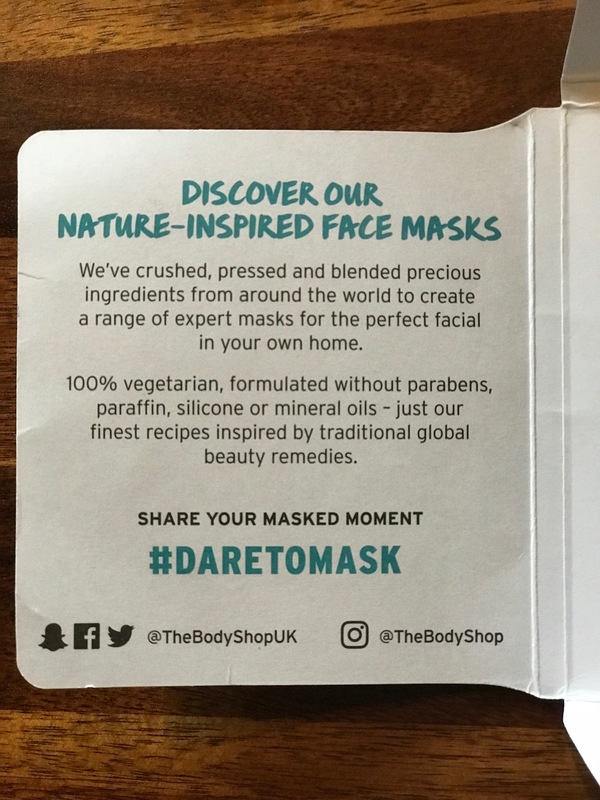 Click link and then enter your details and then you will receive an email voucher which you just need to show on your phone in your nearest Body Shop store before 10th September 2018, while stocks last so the sooner the better – you will receive one mask as above / below. 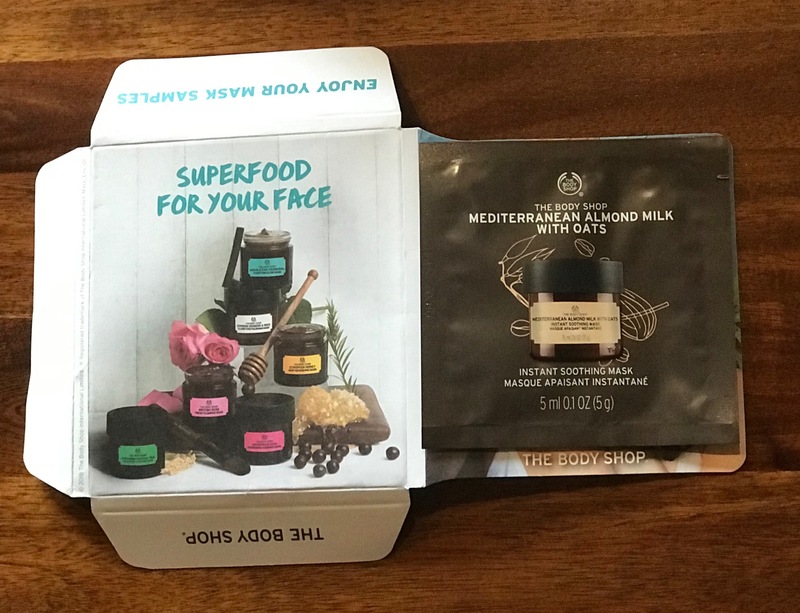 I personally think this is a great way to try Body Shop products so thank you / well done to them. Thank you for looking and look forward to any comments you may have – if you are not already a follower would love you to follow my blog too – would mean a lot. Intend to have more posts up later, tomorrow and / or during the week. I hope you are having a lovely weekend. I do not usually shop in the body shop however I have the Japanese Matcha Tea Mask which is truly fantastic and I use it a lot. 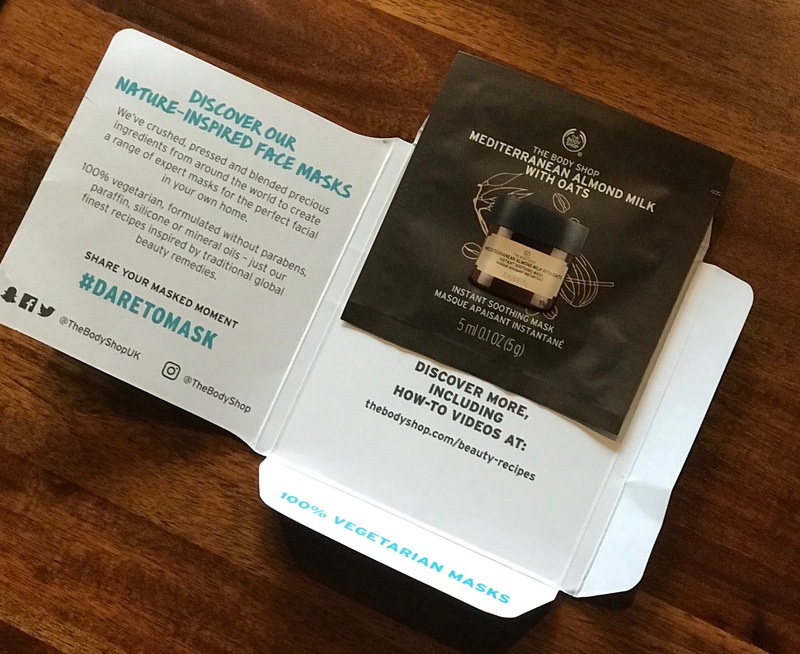 I live in such a rural area that we do not have a body shop but I will shop online because I am so impressed with the mask that I have so I do want to try the others. Thank you so much Liz for always replying to my comments. As your beauty friend it is so very much appreciated. Thank you – always so lovely to read your comments, mean a lot. I understand totally and know a lot of people not near a lot of shops so feel for them missing out as well. It is my pleasure and makes my day reading all your comments. Take care & hope you have a lovely week.